Considering that it is just a drawing, no, simply take a photograph of it or scan it. (Sep. 20, 2012 5:08 PM)Kai-V Wrote: Considering that it is just a drawing, no, simply take a photograph of it or scan it. Look it's my perferance ok :< sorry if it isn't up to par just asking. There is literally nothing to distrust about specific image hosting sites, and avoiding them because of some baseless fear is absolutely not something we will abide. Make a photobucket account, make it private, and you'll be fine. Well, I am a horrible artist, but I will give this a shot. It is suppose to be a snapping turtle shell with a snake wrapping around it, and the crystal wheel pokes through in the snakes mouth. And the pic on the facebolt is suppose to be a snapping turtle head. (Sep. 20, 2012 1:21 PM)zeneo Wrote: @Cannon-i have a patethic 2G phone without a right click or left click option-nor does any of those sites are able to upload the photos. Do tracks and tips need to be designed to? (Sep. 21, 2012 2:04 AM)UGottaCetus Wrote: Do tracks and tips need to be designed to? I am quite certain that this is addressed in the first post already. Ok then, that makes things a little more complicated, but who cares? A Bey for a drawing? I'm in! (Sep. 21, 2012 2:18 AM)beyblader05 Wrote: ENTER ME! sorry,cannot copy your design-anyways,thanks for fixing my entry. giving the actual beyblade is one interesting thing. the winner will be like,"oh! i already knew the design!" Yes, when all we ask is for one drawing, it bothers us that you would do a video for it. zeneo Wrote: one more question-why doesn't the WBO have the option to upload photos,eh? Because SPAMmers used the attachment option to post very inappropriate photographs. ohk,but atleast something that can be done? maybe a 5 or 2 MB free space to upload and that you have control over the images-i mean,you can delete the inappropriate images? The black tortise reminds me of Draciel. I have a great design for this bey! 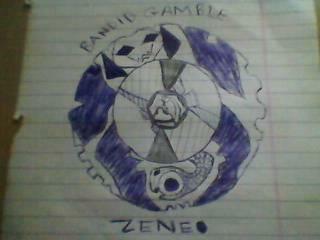 (Sep. 21, 2012 6:33 AM)zeneo Wrote: ohk,but atleast something that can be done? We do not want them being posted at all - we could already remove them separately. (Sep. 21, 2012 6:02 PM)terzinaccio Wrote: We must draw Bandid? Count me in! This is going to be awesome! as someone said,this bey really reminds me of Draciel,maybe,they are re-incarnating all plastics beys related to starbreakers? we have Dragooon,and who knows,Gryph maybe the remake of Dranzer! (Sep. 22, 2012 7:05 AM)zeneo Wrote: maybe the remake of Dranzer!